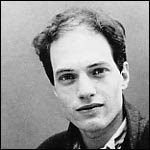 I know I'm going out on a limb with this one...this is Alain De Botton: a Swiss writer, television presenter, and entrepreneur. 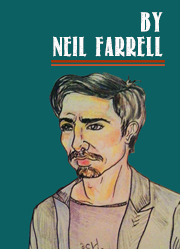 His books and television programmes discuss various contemporary subjects and themes in a philosophical style, emphasising philosophy's relevance to everyday life.I got into his work in college when I was doing my thesis on Beauty and the Everyday, and a lot of his work refers to this theme. I'm gonna say straight up that the hair is horrendous, not that I mind bald men, it's just you don't often see them embracing their remaining haircut these days unless they're in there 60's. 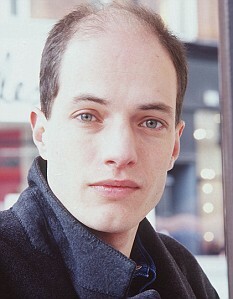 Most balding men shave their head, so it's quite a surprise to see someone so young sporting the geriatric look. What is mostly attractive about him is to see him talk, and to hear how passionate and intelligent he is. He makes a while lot of simple sense out of very complicated concepts. He has been criticized a bit for dumbing things down for television, but I disagree. I thinking he is opening the dialogue of philosophy to a wider audience. I have to say I agree Ruth! Yeah, i really like him too. There's a difference between 'dumbing down philosophy' and 'making philosophy accessible' and I totally think he's doing the latter. Declan-yep, but some people are snobs and instinctively want to criticise those who bring bring stuff into popular media. Darren-it is definitely the mad scientist look alright, but it's just a bit creepy.